I was lucky enough last month to take part in a "road trip" being made by an acoustic guitar where various members of an acoustic forum had the chance to try out a hand built quality guitar for a few weeks in exchange for forum posts reviewing it,plus sound clips &/or videos of the player trying the guitar. The guitar was made by Dave White who builds guitars under the name "De Faoite Guitars". I had seen and heard the qualities of Dave's guitars from previous road trips and was very impressed indeed. The guitar on this road trip was "An Fea Caol", in effect a small parlour guitar designed for Terz tuning (G C F Bb D G). Or the equivalent to any other altered / open tuning but 3 semi tones higher. Extra Light strings needed for the right tension. Soundport on the bass side of the upper bout. The guitar soundboard / top was made from Lawsons Cypress - a big tree that used to grow in Dave's garden and had to be felled as it was becoming a danger to the house. Back, sides and neck - Cuban mahogany (a very dense wood) reclaimed from an Edwardian dresser. THAT is what I call well seasoned wood, and no need for baking and artificial ageing. This guitar was alive in a way that no factory production guitar I've tried has been. The wood fine tuned by Dave for best responsiveness. Very easy to play and very, very comfortable. I realised very quickly I had never played a better guitar. Wonderful balance between the notes on the various strings and along the length of the fretboard. The soundport worked very well in giving the player a much better idea of the sounds coming from the guitar. Quite a harp like sound when played fingerstyle. The guitar really took to being in DADGAD (just as well for me). Spot the pinched waist - nearly as much as the Giltrap guitars I love to play. Makes for great stability playing seated and gives a quality to sound that I like a lot. See how it's significantly smaller than the Tanglewood TW73 Parlour. The TW73 has a typical less pinched waist. But there's no lacking in bass response with the smaller size and it is very far away from being boxy the way many small guitars sound. This was the final result I got by way of a recording before passing the guitar on to the next player. When I passed the guitar on to the next player a few weeks back I got to try his collection of guitars including Martin, Japanese made Yamaha, master build Tanglewood etc. 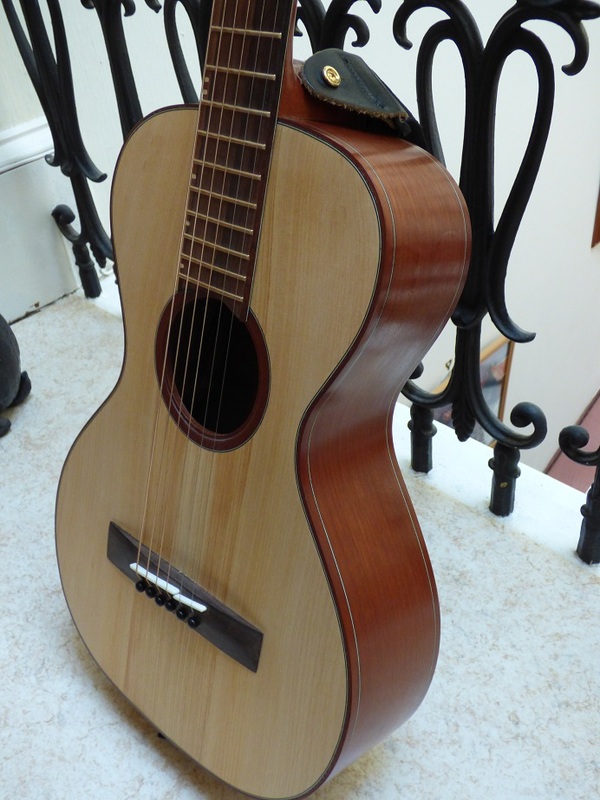 But the jewel in the crown was a hand built guitar from Taran guitars in Fife. "The Taran", a smaller than OM design. With that pinched waist again and so easy to play and a lovely sound. So I got to play two guitars last month that were better than anything I'd played before. 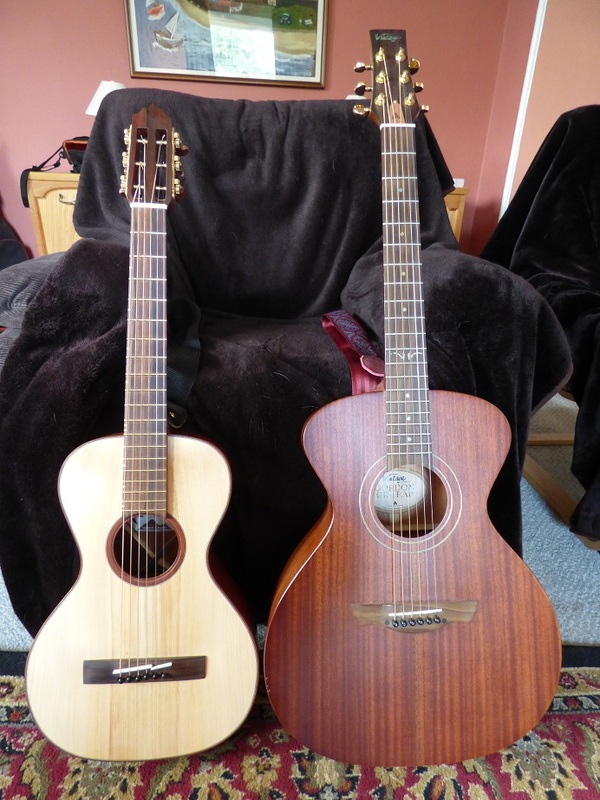 Two guitars that, given my age and plans for retirement, I cannot get close to affording. EVER. Would that I had taken up acoustic guitar at a much younger age, got to find out what really suited me, and been able to save for such an instrument. So, very mixed feelings about the whole experience! Fortunately I still like the sounds from my Giltrap guitars. To lose that would have been a disaster! What a terrific opportunity. Lovely looking and sounding. Your Irish song suits its Celtic connection! I sympathize Mark - with electric guitars, I basically think it's possible to get something that does everything one could want in terms of sound and playability - for under a grand certainly. You can spend much more of course, and I don't blame anyone for doing that - there is something very nice about using a guitar made with the highest levels of craftsmanship. But with acoustics - that craftsmanship really influences the final sound of the instrument in a big way, and these things are always going to cost. Really glad you've got the Giltraps though - they obviously have a certain something, and you did well bagging those when you could. Oh Mark that's bad timing. I too have reached the stage on serious planning for retirement (still a year or two off yet though). I've also been looking at a lifetime acoustic guitar, I might have to peek at the website and see what takes my fancy. I do like those Giltraps though and had a hankering for one a year or two back, but missed the boat. You do well to dread asking Graham! 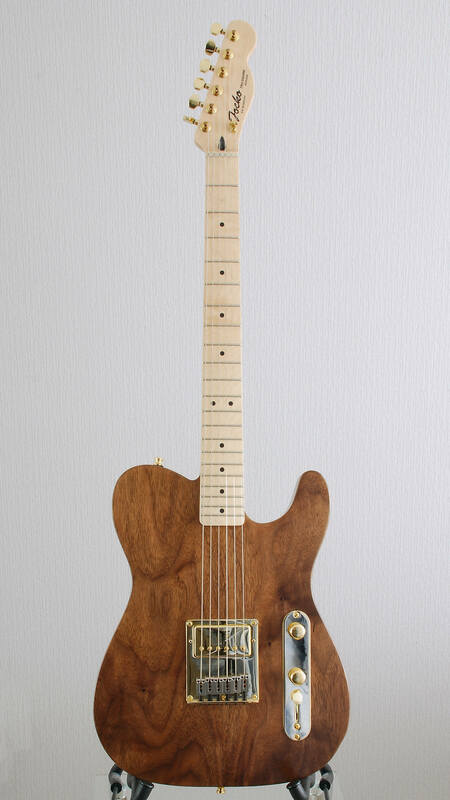 The price for the De Faoite in it's standard wood configuration would be around £3.2k I think judging by what I saw on Dave's website, and, if you can justify that level of spend on any guitar, well worth it I would hazard. So much better in my view than the typical £2k-£2.5k guitars that you find in shops. The Taran website currently has a Taran model available and that's £5,110!!! It's a tough question though. An immediate connection to a guitar that's very comfortable to play and encourages you to make music and really pleases the ears - what price do you put on that???!!! I was thinking of it most of the time like Lester put it. A terrific opportunity to try such a good guitar for a few weeks. Better than never at all. Very typical to of Dave White's generosity of spirit. Rather a risk to send such an instrument around the UK to various people, some of whom you've never even met. ES - my hoped for retirement is just under 2 years, assuming various things go to plan and the economy doesn't cripple what little my pension is so far. But every £ saved now means a bigger contingency fund for when the monthly income is a lot lower. I do recommend your giving a Vintage Giltrap a try if you get the chance. The unusual body shape do make them a bit marmite regarding peoples reaction to playing them. Were finances different I might even be tempted to make it a trio of the things with a deluxe model too! An excellent post. I enjoyed reading that and know the exact feeling. I get some delight from craving a thing which I can never have. Wanting is what keeps you alive. In that case I'll live forever! I want a Tesla P100D. I've made it my mission to find production line substitutes. I think some of them are getting 90% there. Is it worth the extra for that 10% ? Yes. If you have a lot of spare money. So much money that you can write it off. I'd love to spend £5k on a guitar but there are so many more important things in the way. A new bathroom, kitchen... retirement. Kevin I understand what you mean, the problem with 'non household' name guitars is that the market in resale is poor despite the fact that often the guitars are better instruments. Selling a use Martin, Gibson etc. has a larger customer base and they are willing to pay well. I suppose the trick is to find someone that has taken the hit on a new one and needs to move it on to get the next one. For those of us not earning a comfortable living as professional musicians those sweet instruments are expensive toys by comparison. Certainly is. You have to be able to write off the money completely. I've never had a guitar that I haven't fallen out of love with. 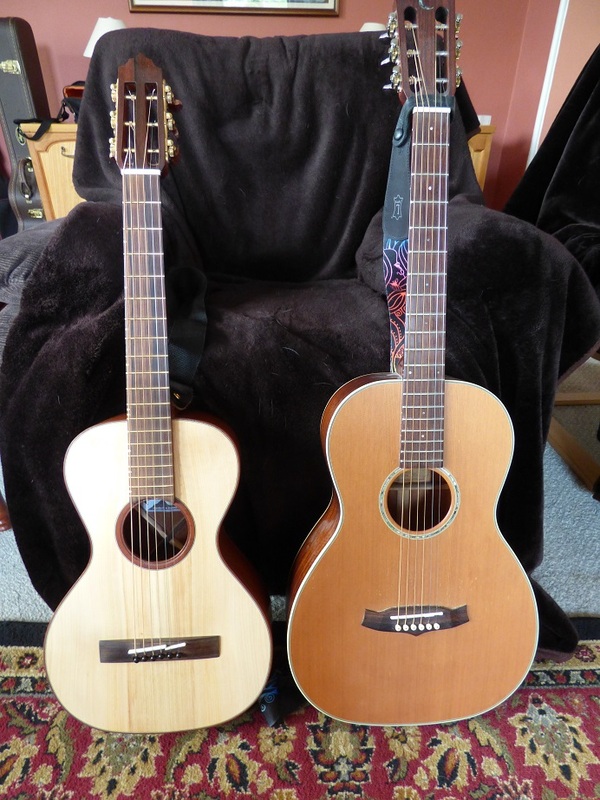 Ah, now I've owned a couple of guitars for practical gigging that I never loved and have or will be moved on, but those I bought because I fell in love have all stayed, One for 40 years this year! Admittedly they each are a favourite at different times but they are home to stay. I even find it hard to part with the unused stuff, but I don't buy very often. No. Not a stay but for lunch only ! Michael Caines actually supervised it and we got to meet him afterwards. The experience we'll never forget. Total and utter perfection - the man has created heaven on earth. For four hours we were treated like Royalty. It was stupidly expensive but so is take-out coffee at work when you add it up over a year or two. A once in a lifetime experience and I'm glad we did it while we still can. Interesting thread. I'm starting to think about retirement, too. As with a few others on this thread it's still a couple of years away (unless the company decides it wants to give me the payout that is currently being offered to middle and higher managers. Alas, I'm not of such a grade, but I suspect I'll get their work when they take their payouts and head off to the Bahamas). I feel a bit sad that I've never had the guitar experience that seems common amongst others - playing a guitar that blows one away. But at least it mean I'm not lusting after something I'll never afford. A lot of thoughts being expressed on this thread that perfectly match mine. "A mission to find production line substitutes". Absolutely - on acoustic guitars where production line makes everything to set measurements there will be some soundboards where the standard specification will match the qualities of that piece of wood perfectly. It's that bell distribution curve of quality where variable raw materials are moulded into a standard end product. There's some great guitars out there waiting to be found ... and some to avoid that would be better used to make a park bench! "More important things" ... "retirement". Exactly where I am, although the way the house sale is(n't) progressing I may never retire. "Still tempting though innit!". Oh yes indeed! "I've never had a guitar that I haven't fallen out of love with". Not quite that bad with me but I have had a favourite guitar that I fell out of love with over a period of a few days. I don't even like the sound of recordings I'd made with it - I'm guessing something happened to my sense of hearing. I sold it, when in hindsight I might have been better to change the pickups. "I even find it hard to part with the unused stuff". I'm better at that than I used to be. But I admit I still have 4 electric guitars and it must be at least 6 months since I played one. Nearly two years since I played one with enough intend to record. Kevin - I liked your post about the Lymptone Manor experience, and about the happiness that can go with a settled long term relationship. I hope you have many more happy years together. I too am very lucky with that aspect of my life - 34 years together (1984 was a good year for me) and 33 years married. I'm allowed to indulge in musical instruments and have the advantage of my wife playing ukulele and sometimes guitar, and understanding the overwhelming passion of GAS when it overrides common sense. The track I recorded and put on Soundclick playing Dave White's guitar is now the most downloaded acoustic recording I've uploaded there. After just 3 weeks. About 1 download for every 5 plays. I'm not sure how much it's down to the guitar sound, the "road trip" aspect, the chord / harmonic progression of the Pierre Bensusan piece it was based on. Probably not much down to me. BUT - I find myself surprisingly relaxed about it all and not feeling deprived after passing the guitar on. I have the company of my Giltraps and Tanglewoods and they are really all I need - much closer to an equal match of quality level of guitar and of player. Wow. I had no idea you were old enough, Mark. You look young. I value the Vintage GG DLX most highly. My favourite tribute act (Bookends) use a Tanglewood to create a faithful representation of Simon and Garfunkel in their 'innocent' years. It's a guitar that has the purest sound and one which I've been privileged to hear mellow over the years. I did own a Tanglewood Martin 000 copy but ditched it for a real Martin 00016 but - I am ashamed to say - for no other reason than brand. The Tanglewood was up there in all other respects. I'm glad that I've been more faithful with my women ! I loved my Tanglewood. Sometimes I regret giving it to my nephew, but at least now it gets played regularly. I wish I felt as young as I look Kevin! My finger joints especially. But I'm now just under a couple of years off the 65 years old landmark. One of my Tanglewoods (all mahogany with solid wood top and back) beat off the challenge of a Martin 0015ME UK in a half hour shoot out between the two. Couldn't make my mind up at first but the longer I played and kept swapping them the more I found myself enjoying the Tanglewood most. Despite it being under £300 including the gigbag - which seems ridiculous! Like all factory production models they vary a lot though - my TW73 parlour that really sang when I tried it was a totally different instrument to a much more lifeless TW73 I tried in another shop a few years later. There's a good few guitars I feel that way about too that I've sold over the years - the most obvious one being the Lowden. I reckon guitars exist to be played and if I don't play one much then it deserves to be with someone who will play it and enjoy it. But as I said in a recent post on this thread I seem to have lost that resolve with my electrics, where I can't make up my mind which of the four I still have to part with first. They're all so different that losing one leaves a hole in the range of sounds to be had. Humbucker, P90, Single coil, Humbucker semi-acoustic. Hmmm!? On the basis of how often they're played it ought to be the Strat I built myself, but that'll have little resale value and it's the work that went into it that makes it more difficult to let go. I have given away one of the guitars I built myself. My mahogany bodied Tru-squire. I gave it to my grandson on his graduation from university. He had always admired it and at least now it gets played. What a gift ! I'm sure he'll treasure it for the rest of his life. Where do the years go, Mark ? My only original guitar item is a Schubb capo which I've had for around 35 years, I guess. It's been present at all of my paid gigs. It's now a prized possession. I can get nowhere near that historic piece of gear Kevin. Best I can muster is a 10 year old Hagstrom Viking Deluxe - bought used £235. Until recently I did still have a 19 year old Yamaha Pacifica - the guitar that started me playing again once the family had grown up enough to leave me some spare time. Plus I'd been having recurring dreams about playing music and it was niggling at me - haven't had those dreams again since I started playing again. That's one lucky grandson you have Jocko! It was actually Walnut bodied. The Strat I built has the Mahogany/Sapele body.